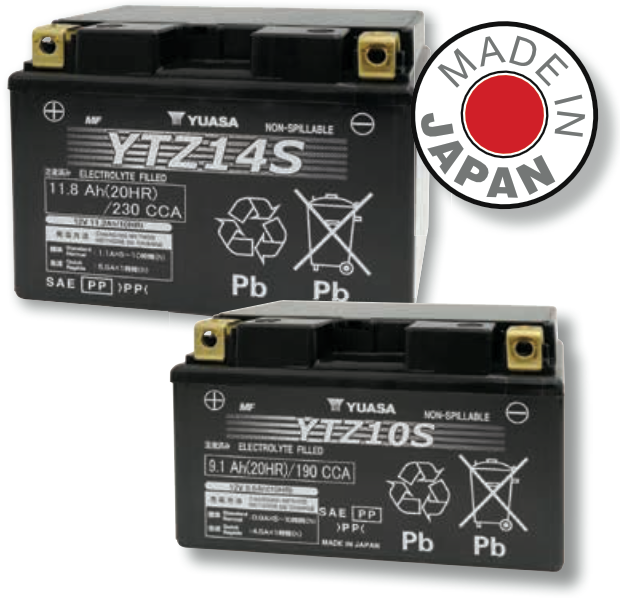 If high power is top priority in a replacement battery, look to Yuasa's High Performance Maintenance Free batteries. Yuasa means more power, less maintenance and longer life. 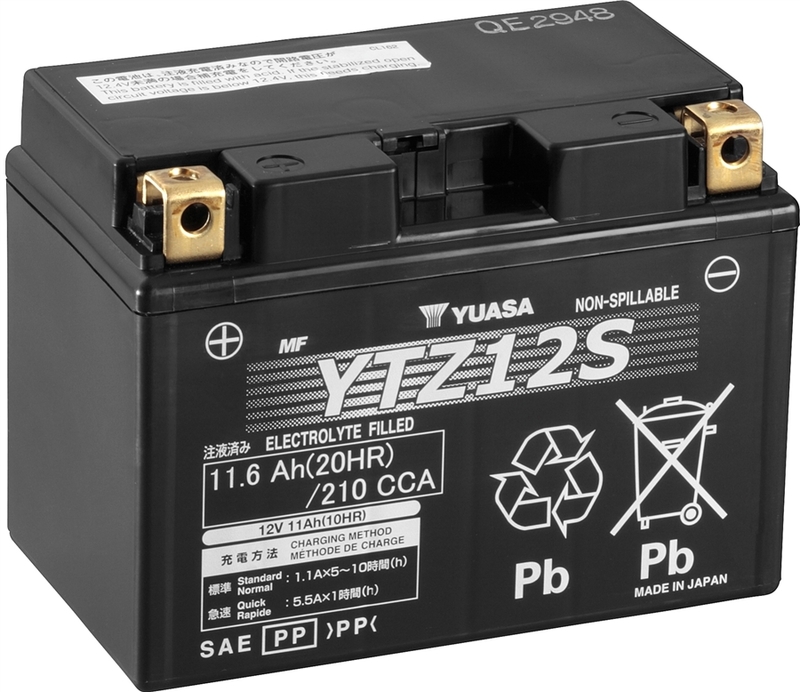 Yuasa's High Performance Maintenance Free batteries are your best choice for motorcycles, utility vehicles, scooters, ATVs, ride-on mowers, personal watercraft and snowmobiles. 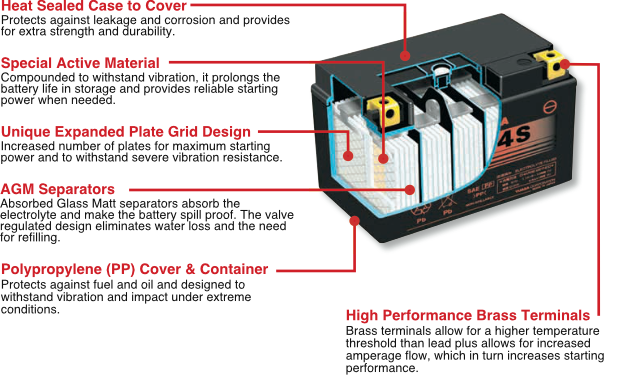 All of the features of standard Maintenance Free batteries PLUS Increased Power - Up to 30% more cranking amps thanks to a radial grid design and additional plates. Because they are small, light and more volume efficient, Yuasa YTZ® batteries provide greater starting power from minimum space. Factory sealed and activated, they are completely spill proof enabling multi-angle fitment, never require refilling and are maintenance free during the complete lifetime of the battery. YTZ®, GYZ® and YTX® are registered trademarks of GS Yuasa International Ltd.